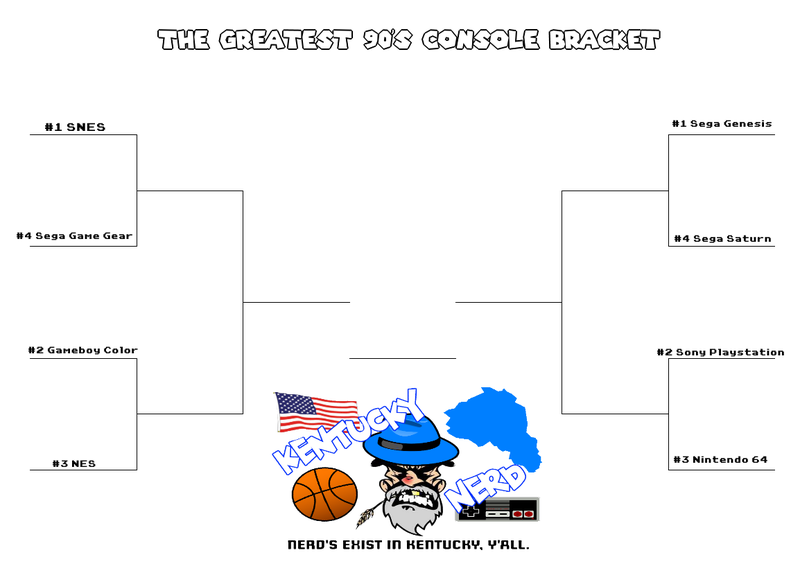 Kentuckynerd.com The Greatest 90's Console Bracket First Round Vote NOW! The Greatest 90’s Console Bracket First Round Vote NOW! I love filling out Brackets! So why not fill out a bracket about the greatest 90’s console! I’ve been thinking about a few brackets and a console bracket just feels right and nerdy! As you see we got the 2 biggest and badest as #1 seeds. Console Bracket voting will be on facebook and twitter. You can vote here or on Twitter for Round 1, Should last a few days then we will go onto the 2nd round.